What a turbulent week. Chinese stock markets collapsed. The Dow Jones Industrial Index flash-crashed. Fires consumed forests and homes in the American Northwest. North Korea threatened South Korea. Another explosion rocked China – followed by two in Japan. More evil rose from the cesspool called Planned Parenthood. And then, to add insult to injury, a glitch took down Omega Shock and a bunch of other sites. It’s almost as if they decided that they couldn’t wait for the end of September to get everything started – whoever ‘they’ are. What a difficult few days. Collapsing stock markets. Currency wars. Warehouse explosions. Threats of war. Evil and vile abortionists. Muslims rampaging in Europe. Iran thumbs their nose at the US. Warehouse explosions rock China AND Japan. More signs that the global economy is falling. And on top of all that, a computer error caused the Omega Shock website to be unreachable for a few days. I am truly disheartened by how ignorant we are about what the Bible actually says – and doesn’t say. And, when I show people what is written in the Bible, I am often told that it doesn’t say that. It’s like there is this mental block keeping people from seeing what should be so incredibly obvious. In fact, over the years that I have been writing articles on Omega Shock, I have been continually blindsided by some of the foolishness that people believe. In fact, the shock is sometimes almost more than I can bear, and I am not engaging in hyperbole here. I truly am crushed by the terrible lies that are being passed around in our churches. And most of those lies came from the 1800s. The 19th century saw the invention of the steam-powered printing press, and that was all Satan needed to get his lies spread throughout the churches. Then came radio. Then television. By the time the Internet arrived… well …it was all over. The first lie that I stumbled over was dispensationalism. A little over ten years ago, a friend demanded to know if I was a dispensationalist. I’d never been to semitary [sic], and I had never read a commentary. So, I didn’t know. So, I looked ’em up. Nope. I was NOT a dispensationalist. On the surface, dispensationalism seems okay – until you realize that they have reduced the value of Jesus Christ. In fact, I heard one famous dispensationalist claim that Jesus wasn’t the Messiah for the Jews. When Jesus died on the cross, He died for all who came before – and all who came after. Furthermore, the law of Moses was a pale shadow that was not sufficient to cover our sins. But, people obtained salvation, because that law pointed to the one who would come and pay for their sins. There. Is. No. Other. Dispensation. Than. Jesus. PERIOD!!! It truly makes me upset that anyone would deny our Lord and Savior the honor and glory that He so richly deserves! How DARE anyone do such a thing! However, I understand that such doctrines were learned at the hands of teachers, who learned from their teachers – and on and on, until 1811. Please understand that this almost-heresy did not exist before 1800. And, it would have gained no traction without the help of the steam-powered printing press. I received yet another shock when I found that dispensationalists refused to prepare for the coming collapse because they believed that God would rescue them in The Rapture before anything bad happened. That is why I pound the table so hard over the pre-tribulation rapture lie. I honestly don’t care when you think the rapture is going to happen. None of us get a choice in the matter. I start caring about this when people use this false theory as a way to avoid preparing for bad times. And, if I’m not stumbling over dispensationalists, I’m getting run over by amillennialists. How is it possible that ANYONE could ignore the fact that Jesus will return and reign upon the Earth for a thousand years? Again, it’s not heresy, but it’s really, Really, REALLY stupid. The only way for anyone to believe that there is no Millennium is to rip out chapter 20 of Revelation. How can you ignore something so obvious as Revelation 20? I mean, I’m tearing my hair out here. I just don’t understand it. Then, there are those who believe that we are in the Millennium right now. That one is another hair-tearing, frenzy-inducing thought. I truly do not understand how anyone can believe that we are ruling and reigning with Christ for a thousand years. If nothing else, we have a math problem. You will NOT go to Hell if you are dispensationalist, amillennialist or postmillennialist. Rejecting the idea that Jesus is God. I’m sure that this rejection of the deity of Christ comes from earlier times, but we have its greatest expression in the rise of the Jehovah’s Witnesses – aka, The JWs. I hope that I am wrong in believing that this is a true and absolute heresy that will send you to Hell. But, my fear for your eternal life encourages me to warn you that rejecting the deity of Christ is to reject His death, burial and resurrection. That last one should make you stop and think. If you deny Jesus, you also deny the Father. If you accept Jesus, you also accept the Father. I understand that concept of a Godhead that is three-in-one is hard to understand – and even scary to think about. I get that. This is a very difficult idea that we must accept on faith. …never, Ever deny the truth and fact that Jesus IS GOD! Your future in eternity is in question, should you deny this truth. It has taken a while for this problem to crystalize in my mind – partly because it’s hard to see the outlines of what no one talks about. And, no one talks about The Salvation of Israel because they are still confused by teachers who were/are part of what I just talked about. Or because… well …they just don’t know that it’s important. And to be fair, for most of the past two millennia, the subject of Israel’s salvation wasn’t important. The struggle of daily life-in-Christ was hard enough, without having to figure out the return of Israel, and their salvation. The Land of Israel was an awful place run by barbarous Muslims, so the idea of this fulfillment of prophecy was just… unimaginable. But, the children of Israel have returned to the Land of Israel, and there are Christian Israelis sharing the gospel with other Israelis. The Body of Christ is growing in Israel. So now, the unimaginable is perfectly feasible. Because of all the books written by doctor this or doctor that, who ALSO don’t talk about the salvation of Israel. And those who DO talk about the salvation of Israel – are wrong. The dispensationalists believe that Israel will go back to the Law of Moses. I’m sure that there are different nuances to their belief, but essentially they say that the dispensation of Christ will end – with the Jews returning to the old one, or some version of it. The amillennialists spiritualize everything and claim that every reference to Israel, is a reference to us – Christians. To them, there is no need for the salvation of Israel, because all followers of Christ are Israel. The postmillennialists believe that we are already in the Millennium, so it doesn’t matter anyway. Those Christians who fall into one of the above, automatically don’t have any need or interest in the topic of the Salvation of Israel. Those of us who do not fall into one of the above… well …we are such a small group that no one writes books or has a loud enough voice to be heard. I just got done with a detailed survey of the prophets, from Isaiah to Malachi. If you want to know what is about to happen, you need to read those prophets. They are our surest guide for the days ahead. We are already seeing Isaiah 17 being fulfilled right before our eyes. We now see the foundation laid for the fulfillment of Isaiah 19. Daniel spoke of the rise of great kingdoms, and then… the last, most terrible one. Please. Sit down and read through the prophets of the Old Testament. It won’t take you that long, and you will learn about what is going to come over the next few years. But, you will also run into the issue that no one wants to talk about, the salvation of Israel. When Will Israel Be Saved? This subject is talked about by almost every prophet in the Old Testament. It’s not a tiny issue. In fact, the issue is completely enormous and of incredible significance to you and the people that you care about. So again, when will Israel be saved? Will Israel be saved at the return of Christ? Read through all the verses that speak of the salvation of Israel. None of them are at all similar to what is described in Revelation 20 – except Zechariah 14, which comes after the description in chapters 12 and 13. Hopefully, the resurrection of you and me. The first resurrection occurs BEFORE the Millennium begins, and it’s a pretty unbelievable that God would not wish to include Israel in this first resurrection. And no, please-Please-PLEASE do not tell me that America is Ephraim or Britain is Judah, or anything else like that. We are all gentiles. We are NOT physical children of Israel. Paul speaks of us as wild branches grafted in, and NOT the natural olive branches in Romans 11. And, if you can read Revelation 12 and not see how a saved, Christian Israel will flee into the wilderness and is protected from the Antichrist for three and a half years… well …I’m not sure what to say. Revelation 12 is completely obvious. Now, is it possible that Israel is saved during the Tribulation? First of all, Revelation 12 tells us that Israel will flee into the wilderness. So, she must be saved BEFORE the Antichrist comes. The prophets tell us that Israel is saved IN THE LAND OF ISRAEL, so Israel cannot be saved IN THE WILDERNESS. But, there’s also something more. That’s why I called my book Ezekiel’s Fire. Look carefully at the circumstances surrounding the coming of this army, it’s destruction and the fire that results – and you will see that it MUST be a solar flare of unimaginable size and power. That solar flare will knock out electricity over most of the globe, if not all of it. It will take years for the world to recover enough to enable the Antichrist to take over. Those years will enable Israel to develop to spiritual maturity, so that the 144,000 men of Revelation 7 will be able to fulfill the task set for them. In Revelation 14, we find out that these men are virgins, and it appears that they will go out to preach the gospel – although, the chapter does not explicitly say that. So, the salvation of Israel MUST be before the coming of the Antichrist, and it must be long enough so that the world can recover sufficiently for the Antichrist to arise. But, the salvation of Israel isn’t what concerns me, in terms of your safety. God will handle Israel’s salvation. I’m concerned about you. Ezekiel’s Fire will kill a billion people – at least. And, the survivors will suffer terribly. And, I want to spare you from that. Ezekiel’s Fire will come before the Antichrist, and it will be God’s way to show the world, one last time, that He is God. God will show His power and His might, and so the world will have no excuse for following the Antichrist. Please get this right. Your safety is in question, if you don’t. Now, let’s turn to the more mundane catastrophes of the past week. I talked about them in the introduction, so I’ll get to that here. I have been talking about this for probably three years, and I cannot stress too much how important this all is. No matter how much the talking heads proclaim how wonderful fracking is, there is no solution to our problem of declining energy. It doesn’t seem like THE PROBLEM now, but that’s because it is obscured by all the other events that make this hard to see. We have been artificially propping up oil production by feeding it low cost debt and derivatives, but the futures contracts are expiring. And, we are running into the limits of debt financing. When the debt load collapses we’ll find ourselves unable to even fuel our economy at current levels. Decrease any of those three, and the economy falls. And, let’s not forget that it takes quite a bit of energy and man power to get raw material. Worse, this fall will accelerate once confidence in how the financial system operates also begins to fall. Confidence is everything. Without it, our civilization will collapse. And, when that collapse really begins to be visible, the collapse will be deflationary. …what happens when the debt is defaulted on? That my friends, is deflation. Debts will default. The financial system will shrink. No one will have money to buy anything, so prices will drop. …that wasn’t the second explosion in China – it was the third. THAT was the first explosion that few seem to be talking about. It’s hard to know for sure if all of this is ‘enemy action’, but sure has set off quite a few ‘alarm bells’ in my own mind. Interesting days ahead. They were discussing Japan, Russia and China. And, it seems to me to fit with the coming of Gog and Magog. It doesn’t mean that there won’t be war between now and then. We already have plenty of that. No, I think that Martin is talking about something far larger than what we see now. The water situation in Iran is dire. This could drive Iran closer towards war, as the government of Iran seeks to shift the blame for internal trouble onto someone else. The mullahs running Iran have… issues – especially with Israel and the US. Finally, some good news. Americans haven’t completely lost their minds. Having said that, such glimmers of hope are easily snuffed out. Okay, so Iran hates Israel. They’ll be with Gog and Magog, when they come down to attack Israel. So, let’s talk about Israel. It was almost 8 a.m. in the morning of June 18th, 2002. I was thinking about the article that I was going to write that day, when the sound of an explosion ripped through my apartment. I paused for a moment to consider whether this was a sonic boom. I quickly realized that it wasn’t and went to the window overlooking Beit Safafa. I could see the shattered remains of the bus at the bottom of the hill. I’m not in that picture. When it was taken, I was down and to the right. I might even have been walking back to my apartment, by then. It’s interesting how the mind works when faced with such awful atrocities. The above picture was taken after the bodies had been cleared away. But, I had taken pictures while they were still there. But, I didn’t see them. I only saw the bodies in the pictures much later, when I showed them to a friend. A Dutch friend of mine was supposed to be on that bus, but he was late getting to the bus-stop. God must have plans for him. Nineteen innocent civilians were murdered on that bus. The 74 survivors will have been scarred for life. But, to the western media, they are just faceless numbers. And now, Obama has tried to reduce money that the Palestinian Authority owes over this great evil. If you want to know the reason why Israel built a wall around the West Bank, that bus was one of those reasons. Israelis didn’t want to build that wall. They shouted down everyone who proposed it… until there was just one too many bombings. I left Israel in 2006. When I returned with my wife in 2010, the wall was up and Jerusalem was at peace. If you want to know why there is a wall around the West Bank, just look at that picture. THAT is why there is a wall. That’s right, if you call yourself a Christian, but hate Israel… well …I consider you to be mixing the idolatry of Islam with you supposed belief in Christ. In fact, if you hate Israel… there’s a question mark in my mind as to whether you really are a true Christian. How can you support the work of Satan and still be a Christian? The fact that the abortion rate within our churches is only a little lower than the abortion rate outside… is… ABOMINABLE! If you want one reason why God will judge America, you can choose this one. We have murdered our babies and still call ourselves followers of Christ. God should – and will – destroy us for this. Unfortunately, there’s more evil. Much more. How utterly abominable, and God will destroy us for it. Okay, now let’s get back to some more doom and gloom. Everyone. This is coming, sooner or later. Please do not try to be optimistic about this. There’s not a lot of room for optimism, here. THAT is horrifyingly similar to today. Is This The Next Dollar Peg To Fall? What If The “Crash” Is as Rigged as Everything Else? Charles Hugh Smith is a brilliant thinker and writer. This will truly make America into an electronic Gulag. It will be one vast concentration camp from sea to shining sea. Please get out, while you still can. That was a bit of VERY unsettling information. Very unsettling. EXCLUSIVE INTERVIEW-Michael Snyder-September, Economy, Urgent Call To Prayer! Everyone, please acknowledge your sins before God and repent before it is too late. This is so important. I have trouble imagining how a solar flare could hit … wipe out power that supports all nuke plants so there’s a melt down … thus all flesh dies … but somehow prophecy can still plod along. Your idea of “Ezekiels Fire,” couldn’t happen till maybe weeks before Jesus return ? All flesh would die. All flesh? At least not immediately – which might be all that really matters. I do not begin to understand everything. I just know what the Bible says, and what is written is horrifying – just going from the descriptions alone. I truly do not want to believe that this is a solar flare. And, I would be grateful to anyone who could put forth a theory that fits the facts better than my ‘Solar Flare Theory’. But, until someone can put forth a better explanation… be ready for the lights to go out. Thank you, Josey. Excellent question. In Nehemiah 7:5, 64 the people were required to prove their heritage by genealogy. How many people today “which say they are Jews” can trace their genealogy far back enough to prove that they are descended from Jacob? How many so-called “gentiles” can trace their genealogy far back enough to prove that they are NOT descended from Jacob? Israel today identifies with the the one stick – tribe of Judah. There are no other ‘tribes’ identified. Therefore this prophecy has been fulfilled. God was saying that no one would claim that they are the tribe of this, or the tribe of that. They were going to be united. God said that He would do it. Why would He need OUR help? God is not weak. He will fulfill the prophecies that He said that He would fulfill. And, He has. I got kicked out of a Baptist private school (High School) doing that, so I know exactly what you mean – in your conversations with you oldest daughter. And, being an ‘oldest’ myself (and married to one), I also know how stubborn we can be. Thank you for you comment about my appearance on the Hagmann and Hagmann Report. This is good to hear. I am being asked to continue appearing on a regular basis, and I have somewhat-reluctantly agreed. Talking for three hours in front of an audience at 7 a.m. is… um …not one of my favorite things to do. But, if the Body of Christ is edified, then I am more than willing. Thank you, Jerre. I really appreciate your comment. The fact that God still knows which person belongs to which tribe should not be a mystery to any of us. Thank you. Some of us were a bit (well maybe more than just a bit) concerned when you fell from the radar. Glory to God you and the family are safe. Thank you for your tremendous passion and dedication to God and to us. Hi, I just wanted to point out a little error in a friendly way. Amillennialism absolutely DOES believe that Jesus will return and establish His Kingdom. The common confusion comes from different semantics. The Premillennial view says we are in the church age now and Christ will return to establish His Kingdom for 1000 years. That’s the most common view. The Amillennial view says that the church age now is a non-literal millennium (because we’re at 2000 years and Christ is reigning over the church from Heaven) and Christ will literally return to establish His eternal Kingdom. So the Amillennial view does not deny anything important. Only the semantics of the time elements are different. The “A” in Amillennial doesn’t deny Christ’s literal return to establish a literal eternal Kingdom, it refers only to the belief that the church age is not understood to be a literal 1000 years but rather symbolic. Like I said, Amillennialism doesn’t disqualify anyone from being a brother or sister in Christ. But… to be a true amillennialist …you must tear out Revelation 20 from the Bible, and that is a serious, serious error. That should make any good amillennialist pause. Tearing out Revelation 20 would seem to qualify your for being taken out of the Book of Life. Are you ready to risk that? 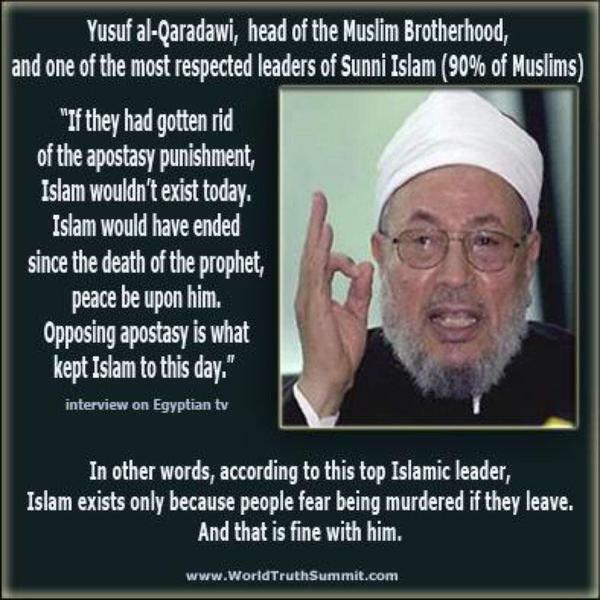 So here’s the thing– that loosing of Satan and the murder of believers certainly must happen. Will it happen AFTER Christ is established as God-King over all the earth (as premillennialists believe) OR will it happen after the “millennial” church age immediately PRIOR to Christ’s return (as Amillennialists believe)? I think it is unreasonable to believe that Christ would loose Satan to slaughter many after Jesus’ return. Revelation 21:27 says, “But nothing unclean will ever enter it, nor anyone who does what is detestable or false, but only those who are written in the Lamb’s book of life.” NOTHING UNCLEAN WILL EVER ENTER GOD’S KINGDOM. Either you must cut this verse out of scripture to allow Satan to enter OR you must say that the “millennium” is this church age which is the precursor to the Eternal Kingdom which WILL be established upon Christ’s return. We are either in or close to entering into the short time of Satan’s loosing and then Christ will cut that time short or else no flesh would survive. We believe that so many of the scriptures you attribute to the Millennium really should be applied to the Eternal Kingdom which Christ will establish when He returns. But let’s just agree that Christ most certainly IS returning and He absolutely will establish His literal Kingdom on earth. And perhaps we may be able to agree that EVERY system of eschatology has problems. See ya in the Kingdom, brother. Superb as always John. You are in my prayers and I greatly appreciate your posts. I raised a ruckus with the pastors and elders at my church for the silence regarding the Planned Parenthood videos. Many prayer vigils are happening now and we received a good message from the pulpit. I’m holding them accountable for the message (or lack thereof) in the face of such evil. I may not agree with you regarding the timing of the tribulation but that is not important – I’ve accepted Christ, I’m praying for Him to come quickly, and I’m preparing for the coming dark times just in case. John Little, your tenacity and thoroughness reminds me of Al Reichman and Arnold Fructenbaum. I would love to be in the room if you three were to strike up a conversation on current events. John, you hit to many nails on the head. I am up here Ontario Canada. I am almost 64, this November. I will be at retirement age in Nov/2016. I met Jesus at 23, in 1975. I read just to keep my mind active. With all the unbelief around me, includes the church as well as the world, it is my strategy to keep my blinkers on and stay focused on Jesus inerrant Word. Great work you are doing. Thank You. How do you interpret 1 Corinthians 15:20–24? Is Christ part of the first resurrection? Is the first resurrection a single event in time or an event that takes place over a specific period of time? Christ part of the first resurrection? Paul is speaking about the rising of Christ from the dead as forerunner of our own resurrection. Because HE was resurrected, so will we. We must be extra careful to interpret scripture in the way that it was meant to be interpreted, and to make sure that it fits with all scripture. John, well done ,thank you for bringing the light of truth to those hungry for it. My good christian neighbors fell for the Herbert W. Armstrong birthed lie that they are part of the ten lost tribes and because they have fallen into this deception they don’t care much for natural Israel. It’s just more of the “christian” replacement theology that Islam is a part of. One of *God’s warnings in scripture that has always amazed me where He sends the delusion and directs it at those who don’t love, don’t care about the truth and that goes for Christians deceived by the doctrines of men like my “christian” neighbor who now believes there is no devil and other false teachings. Jesus warned about a little leaven corrupting everything. There really is no room for error especially with the false rapture doctrine that has seduced so many Christians too lazy to search the scriptures. And by unlimited seduction to evil and with all wicked deception for those who are perishing (going to perdition) because they did not welcome the Truth but refused to love it that they might be saved. But we, brethren beloved by the Lord, ought and are obligated [as those who are in debt] to give thanks always to God for you, because God chose you from the beginning [d]as His firstfruits (first converts) for salvation through the sanctifying work of the [Holy] Spirit and [your] belief in (adherence to, trust in, and reliance on) the Truth. I don’t deny Jezus. He is our king and saviour. Maybe you should blend 2 heritages. For me it is clear that we should keep the Sabbath. Moreover we should keep the 10 commandments. Futhermore we should abstain from babylonian feasts like christmas but instead focus on the Lorah feasts. From there it is not a big step to the levitican laws. But there is no need for temple sacrifices because those were foreshadowing Yeshua. Yeshua told clearly that in matthew 5:18. So back to this website. Apart from there position on Yeshua they have a many interesting points. I learnd a lot of it. also wanted to say I listened to you on the haggman and haggman show and it was insightful as always. for some reason I always pictured you with an older sounding voice that was raspy yet strong when you spoke. I sortof have a habit of picturing people Like Moses having a strong yet raspy type voice. in any case, thank you for this article, And I did notice that I couldn’t get to your site during the week. so then I checked ezekials fire website to see if that was still up and it was. I was getting nervous and thought the satanic elites were making their move to silence the true teachers of the Biblical word!. I just got done buying several more cases of water this past weekend , I am polishing up on my survival skills incase I need to hightail it out of here. caught some lingcod from the ocean the other day and learned out to clean , gut and filet them and it was nothing to it. This country is going downhill fast and for some reason I am excited because I know my LORD is coming soon !!!! and if I ever feel like I want to meet him sooner, I can always go preach the Gospel of Jesus at a local mosque in my area while burning Quran’s infront of them. I have to have a sense of humor nowadays because the Bowelmovement is about to hit the fan in a big way. Stay blessed in the HOLY, POWERFUL,RIGHTEOUS, name of JESUS ! a name that I am not even worthy to speak because I am a vile wretch. the only difference between me and a heathen is I have accepted the truth of JESUS and his sacrifice. and now all I seek is to make my FATHER in heaven happy . if he wants me to Turn away from sin, then I better damn well turn away from Sin , because my Pops up Top commands me to do so. Stay strong Brother John, and may the LORD work Wonders thru ! !! Great article as always John. However I feel compelled to correct you on one small but important matter. The 144,000 virgin “men of Revelation 7” are to be more properly understood in a spiritual context as being spiritual virgins. In other words, the text is not meant to be interpreted literally as being physical virgins, but rather they are spiritual virgins in that they have never engaged in idolatry (idolatry being understood as the spiritual equivalent to physical adultery). That is to say, they have never been spiritually connected to or engaged to false religion, which is spiritual idolatry! It is in this sense that they are to be understood as un-defiled spiritual virgins. I hope this clarification is of some help to you & your readers. We were all born in sin, and therefore we were all ‘spiritual fornicators’ from the moment of our birth. YbY, you do NOT want to suffer the results that you will receive by adding or subtracting from the Book of Revelation. This is not a game, so please be careful. Sorry John, no attempt at re-writing Scripture. Simply interpreting (midrashing). Midrahing is a common approach toward unlocking the deeper or hidden spiritual meaning of Scripture. Attempts to always limit or confining Scripture towards a literal understanding greatly limits one’s understanding of Scripture & hamstrings spiritual knowledge & growth. This is a common mistake many Christians make. thoroughness you put into your writing. It is appreciated. Thank you for the reminder to read through the prophets. When I was younger in Christ I used to have a hard time reading through the Old Testament because I knew from previous reading what was coming and time and time again how the Israelites would freak out, or choose to follow idols, or refuse to listen to the LORD and so on. They kept having to be reminded again and again. Then one day He brought me to the realization and truth: I am the same way and do the same things. I am just as thickheaded. We need His Word desperately as a reminder and to learn His ways, His truth and to discern what is coming and to check all things against it. Thank you and glad your site is back up. You have caught an important purpose of the historical account of Israel’s sin, perfectly. We are EXACTLY like they were. And, we must work hard to avoid their mistakes. Worse, we have less of an excuse than they, because God has given us the indwelling of the Holy Spirit in a far more powerful way. Yeah, I’ve heard about problems with Rick Joyner. It’s always distressing to hear of those who seem to begin so well, and then fall so badly. But He was created just as we and the universe were by the ONE true GOD. JEHOVAH (in english). Your comment was so good, and it said it said exactly what the Bible says until… that last line. This is Mormon doctrine, and it is pure heresy. I do not think that people who believe such a thing will make it to heaven. Jesus IS Jehovah. AND He IS THE CREATOR!! JD, I fear for your eternal life. You must repent now and accept Jesus as the UNCREATED God who took on human form, and died for your sins. I’m sorry but I need you to explain this quote further about the Jehovah’s Witness. Also I would like to talk about it from first hand experience and to tell you that I do not appreciate someone one attacking another Christian religion through ignorant comments. I was a Roman Catholic for 40 years but after seeking religious guidance from my Parish Priests and being laughed out of there office repeatedly and lastly told there was no such thing as the Devil, my faith started to dwindle. The JW’s came to my door at first I had many negative feeling’s toward them due to my loyalty to the Roman Catholic church. I assumed like you that they did not believe in Jesus or the the Holy Trinity but I was very wrong. They first showed me that are Bibles are exactly they same besides one using old English as supposed to new. Then I went to there Kingdom Hall to investigate further and to my surprise the whole 2 hour church ceremony was based on Jesus’s teaches. Now I will finish off saying this. The JW’s do believe in the Trinity but the only difference is they see Jesus as the son of God that the trinity all work together but are separate which to me still works. Are they one or not isn’t important because honestly I don’t think I’m going to hell because I wasn’t 100% accurate. The most important message is Jehovah’s will and his teaching’s from the Bible which the JW’s follow intently. Do you even know why they go door to door. Well ill educate you. They go door to door because they believe that just like the Apostles were told to spread the word , that we are also part of his Flock thus we are also his Apostles and it’s are job the spread the word to help save those who need saving etc etc. Now by insulting other Christian religions for there differences through ignorance is a tool used by Satan himself to cause us to argue instead of working together. I cant believe that you have fallen prey to this trick so easily yet you have. So be forewarned to not fall into his hands again. Lastly Instead of insulting the JW’s you should commending them. JW’s spend over 70 hrs a month spreading the word of Jesus Christ going from door to door while having 90% of those doors slammed in there face. They also have jobs and families but spend whatever little leisure time they have to helping lost souls. Yet the Roman Catholic Parish Priest’s that I saw couldn’t wait for me to exit there church. Very sad. As Christians we need to stand together if we allow the maker of lies to put a wedge into are minor differences then we have already lost. On that note I have one question. Do any of you practice the Sabbath on Sunday or Saturday if the answer Is Sunday then technically you all should go to hell because the Sabbath was originally Saturday until it was changed by Constantine, he wanted to covert to Christianity but did not wish to anger the existing Pagan sun god worshipers thus he had the Sabbath changed. That being said Jesus did say that you should worship the Lord everyday hmmm that sounds like the Jehovah’s Witness interesting. That was a lot of work to write, so I’m sorry to have to tell you that it was in vain. Doctrine WILL send you to Hell (or Heaven). Isn’t rejecting Jesus Christ, a doctrine? Isn’t the need for faith in Jesus Christ, a doctrine? Therefore, doctrine is vital and important. Furthermore, the Jehovah’s Witnesses DO reject Jesus as God and DO reject the trinity. Therefore, they are NOT CHRISTIAN! Our job as brothers in Christ is to watch over the Body of Christ and reveal all that is evil and idolatrous. That is important if we are to present ourselves before God, pure and holy. There are many wolves that have crept into our churches, so it is to be expected that there will be divisions. Part of my job is to reveal the wolves and warn the sheep to avoid them. Wolves, on the other hand, wish to limit our ability to identify them. The message of a wolf is that we should never criticise – that we should never point out the wolves. Therefore Martin, your message is that of a wolf. So, please repent, before it is too late. This week’s post is excellent.More informative.Thank you. Glad to see your site is up and running again. I only wanted to say thank you for the consistent exhaustive research you have done in regard to warning and informing the body of Christ. God bless you and your lovely wife during these ominous and dangerous last days. We all appreciate so very much your care and concern for others. Well that Ashley Madison expose’ was a shocker ……. I am almost encouraged to find out that there are NOT 5+ million married women looking for an affair, that this was all a scam at the expense of the 31 million married men who WERE ……… nothing encouraging about that. As for the rest, just about all I can do is sit tight and watch the sky like Chicken Little. Is it going to fall or isn’t it? Surely we should be able to tell before TOO much more time passes ….. I was wondering if you are familiar with Jerry Golden in Israel. He writes The Golden Report. I would be interested in your opinion, if you have knowledge of him. Thank you for all you do to keep us on the straight and narrow. Very disturbing times. I don’t know much about Jerry, and I don’t think that I’ve met him – although, I might have. But, he’s put out some pretty good articles over the years, and I don’t remember having a big problem with any of the ones that I’ve read. Unfortunately, I’m well-known for my terrible memory, so I’m not sure if you can rely on my ‘faint praise’. I know you want to be accurate. The Anti Christ isn’t mentioned in the Gospels or Revelation at all; only beasts. In fact the only place is in I & II John. Also I take Messiah’s words as most important. His words not mine: in Mat 5:17-19 Think not that I am come to destroy the law, or the prophets: I am not come to destroy, but to fulfil [see Strong’s G4317]. For verily I say unto you, Till heaven and earth pass, one jot or one tittle shall in no wise pass from the law, till all be fulfilled. Whosoever therefore shall break one of these least commandments, and shall teach men so, he shall be called the least in the kingdom of heaven: but whosoever shall do and teach them, the same shall be called great in the kingdom of heaven. Those who are saved but don’t obey all the commandments are in the Kingdom; but least. Sunday is the wrong day to rest. Note, the Sabbath to Sunday move was done by the Catholic church: it’s not in Scripture. Quote (of many): “Sunday is our mark of authority… the Church is above the Bible, and this transference of the Sabbath observance is proof of this fact” – Catholic Record. Easter and Christmas were added by these people as well, bypassing the sacred days (eg. Passover) of the Creator. The WAR has been RAGING for years already! Most American’s have their heads up the Kardashian’s collective azzes and WON’T know what hit them when it does! Please explain how false doctrine guru’s such as yourself and the Catholic church can tell every other denomination there going to hell for practicing false doctrine yet there guilty of changing and promoting false doctrine. Lucifer loves to do the opposite of whatever are Lord has requested. Example by having his Wolves change the Sabbath from Saturday to Sunday = big slap in the face to are Lords request. Another example is how evil is at it’s greatest power at 3am. Its believed Jesus died at 3pm so again he loves to oppose are Lord. I’m sure there has many more changes over the centuries by his fold and more to come as we have witnessed by the current Pope. I would like to here your explanation on how anyone can throw stones toward others for being mislead when in turn they commit heresy against God’s first set of Commandments. Pure torture. At this point, I’m ready to get this place built and sell it. Then my biggest choices would be where to go on vacation and how to invest the $4,000 a month excess income I have. Or just bank it. Or buy gold. OR staroage food. Or whatever. I know,,, there are worse problems. But in all my life, I’ve never been so torn. And I don’t even know why. I’m so sorry that you are stuck in this dilemma. I have been in such circumstances myself. Is it possible that God might be nudging you in a different direction? Pray earnestly for direction from God. Read your Bible. Make sure that you’ve removed the sin in your life. And wait for God’s direction. This doesn’t mean that you should stop what you are doing. But, it might mean that you need to keep an eye open for God’s direction. You will never make a mistake by truly surrendering your will to the direction of God – even when it doesn’t make sense. I’m sorry that I cannot give you better advice than that, Joe. Keep up the good work, brother. I know you follow him and have probably seen this, but consider what it means. He is careful to repeatedly state the scope of his forecasts in order to prevent them being blown wildly out of proportion, and regards the hysterical contingent as unrealistic and has said several times that 2015.75 is NOT the end of the world. Yet many of the things he alludes to do seem terribly bad, and in the above post he casually says “The internment camps are for YOU, not Islamic terrorists.” I don’t recall him talking about internment camps before except possibly those for the Japanese during WW2. Continues to amaze me how many Americans truly insist that domestic internment camps are impossible nonsense when any history book, even whitewashed ones, admits to them existing just 60 -70 yrs ago….. I have noticed that Martin will sometimes let slip his worst fears, before firmly pushing them back into the hole where he keeps them. He has said repeatedly that he sees disaster coming, unless something changes. Furthermore, he has said that he doesn’t need money and isn’t involved in his work to make more. He is genuinely afraid of what he sees coming and wants to fix the problem so that his children and grandchildren have a world to live in. That’s why he keeps doing these ‘solutions conferences’. Unfortunately, the problem cannot be fixed – at least, not in the way that he envisions. I also do not expect the worst-case scenario to occur on October 1st. My hope is that the decline will be gradual, giving everyone time to adjust. But, I don’t expect that, either. I expect an increase in the tempo of war, internal conflict and financial difficulty. The worst-case scenario WILL HAPPEN, ‘cuz the Bible said so. The question is… how fast? I wish that I could see another way out. I really want one. But, the only ‘way out’ is through it. I do not possess enough data to prove it, but, anyway, I think we have (globally) crossed that threshold 10-20 years ago. Actually, we’ve seen this issue in action – in 2008. World’s financial system was about to die in hours. Management and computer sciences are drowning in buzzwords like cost-effectiveness, transport optimization, just-in-time-delivery, e-commerce etc., which all sum up to the two: greed and control – dense, efficient economic network. Imagine what transport infrastructure and energy distribution scheme is responsible for the fact that you see products from all the countries of the world in your mall. It’s convenient, efficient, cheap, makes us asleep. But few of us realize, that it has inherent potential to collapse in a blink of an eye. “in one hour so great riches is come to nought” were never more true. “One day’s ration of wheat for a day’s wage” – that’s what we are facing. Just wanted to say, even if someone decides to ignore the Bible… here comes the math (which, by accident, gave me even more faith), and it says exactly the same. John, I (too) do hope and pray for the decline to be gradual, but we have built our world in such a way, that (at some point) it will all fall apart in days. I agree, October the 1st may not be the day, but… It’s at the doors, very close. After some date, unknown to me, it will be too late to react. Unfortunately, you can’t find any freeze-dried food here in Taiwan. Believe me, I looked. I even considered filling a container and having it shipped over. But, I didn’t have anywhere to put THAT much food – or the patience for customs clearance. Just remember that Taiwan is pretty self-sufficient. So when push-comes-to-shove, Taiwan should make it through. That doesn’t mean that you shouldn’t stock up – WE do. Glad to have you on our beautiful island! I have a disagreement regarding the 144,000. They are all male and of each of the 12 tribes. When you read Rev 7 & 14 they are sealed before the Angels harm the trees and the green grass and then there is a multitude in heaven. They are in mt. Sion, the heavenly Jerusalem with Christ then the Rapture happens and then the great multitude appear in heaven. When the two witnesses appear in Jerusalem to preach to the Jews the 144,000 are sent to all the nations to witness.